Thanks to Tinder Plus, Tinder has moved up to Six Places in the Newest App Revenue Rankings from Google. 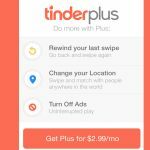 Ever since Tinder Plus was released to the public, Tinder dating application has seen a substantial increase in its app revenue standings. 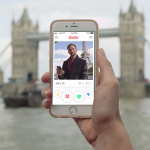 The new subscription based service known as Tinder Plus was launched during the final part of March 2015 & the latest number from App Annie reveal that Tinder’s premium service saw a huge growth which improved Tinder’s App Store & Google Play rankings. Talking of the Play store, Tinder has moved up 41 places and it is at the moment at the 10th position in terms of international total income for March 2015. On the other hand for iOS, the data from App Annie reveals that Tinder has moved from the 969th spot all the way to 26th spot, in terms of overall revenue standings. What’s more, the dating app has jumped from the 14th position and is now the best Lifestyle application on the United States App Store. It remained in the first place throughout that month. The parent firm of Tinder, IAC moved up to 6 places on the revenue charts of the Play Store due to the introduction of Tinder Plus. With the help of Tinder Plus, users are able to refill the swipes, change their locality, as well as enjoy ad-free & uninterrupted swiping. 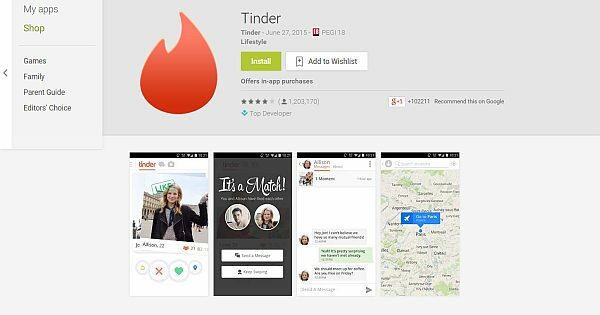 Tinder Plus costs $9.99 to the users who are 30 years old or less, while it costs $19.99 for those who’re more than 30 years old. Previously, IAC mentioned that if the ARPU of Tinder matches additional IAC brands, then it can possibly generate $75M of an EBITDA during its initial year. Seeing the previous reports of IAC, if the remaining dating products of The Match Group corresponded with the subscriber growth from the previous year, then the premium service of Tinder might have added additional 400,000 premium subscribers. Financial Services Company Cowen & Co believe that the premium service of Tinder dating app saw 276,000 subscribers, whereas Credit Suisse put the number at 100,000 and Morgan Stanley estimate the figure of about 297,000. 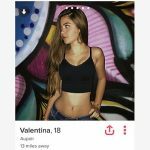 The Premium Tinder Service resonated with its users as it offered them the choice to pay for the features which they desired for some period, and Tinder is now all set to stay with the same model moving forward. Tinder Fans at tinderdownload.org is a team of Life Lovers and Explorers and led by Mary Anne. Page maintained by Mary Anne.